Tropical Dry Forest: The most endangered tropical ecosystem on the planet. Almost 100% has been deforested! Tropical Dry Forests have been destroyed for timber and mineral extraction and commercial farming. Their destruction negatively impacts the communities that depend on these forests and causes the extinction of many species specific to this ecosystem. In Colombia, less than 5% of the natural vegetation of these forests still exists. We want to contribute protecting what’s left and even try to make the Tropical Dry Forest grow. Our adopt a tree campaign started in 2015 with more than 1.000 sponsored trees that now reach a height between 1 and 2 meters. We continue planting and protecting trees on behalf of people and entities that want to contribute to recovering the Tropical Dry Forest. 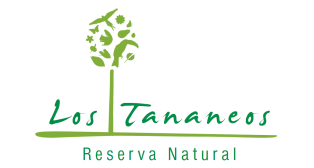 You can adopt a tree in the Natural Reserve Los Tananeos today using the link on this page, and we will make sure that your tree is being taken care of to guarantee its survival. Do you know the importance of Tropical Dry Forests for our planet? These bio-diverse ecosystems are extremely resistant to weather fluctuations due to climate change. They are also the first forest ecosystem on the Colombian Caribbean coast that provides a resting place, food, and shelter to millions of migratory birds of over 60 species that land on the coast after their trip crossing the Caribbean Sea.